Bring a taste of America's MOST POPULAR FOOD FESTIVAL to your event. CREATIVE AND unique food + beverage experienceS customized for your PUBLIC EVENT, corporate PARTY, festival, or PRIVATE FUNCTION. We CREATE VISUAL MOMENTS AND STICKY impressions to make your event MEMORABLE AND SHARE-FRIENDLY. Our vendor network FEATURES MORE THAN 500,000 followers. A decade of experience producing events for millions of people MEANS WE'RE PROFESSIONAL, EFFICIENT, AND FLEXIBLE. Smorgasburg curated and produced the food and beverage experience for the Fall 2016 Tommy Hilfiger x Gigi Hadid NY Fashion Week runway show at Pier 16 in Manhattan. The two-day event featured six food stands, two dessert carts, and two bars, 1500+ VIPs and private guests on Friday, and a public event for thousands on Saturday. With nearly 1,200 guests in attendance at the Bridgehampton car show, Smorgasburg created custom stands spread throughout the golf course amongst over a hundred antique and custom cars. The food and stands were designed to enhance the experience for the attendees. 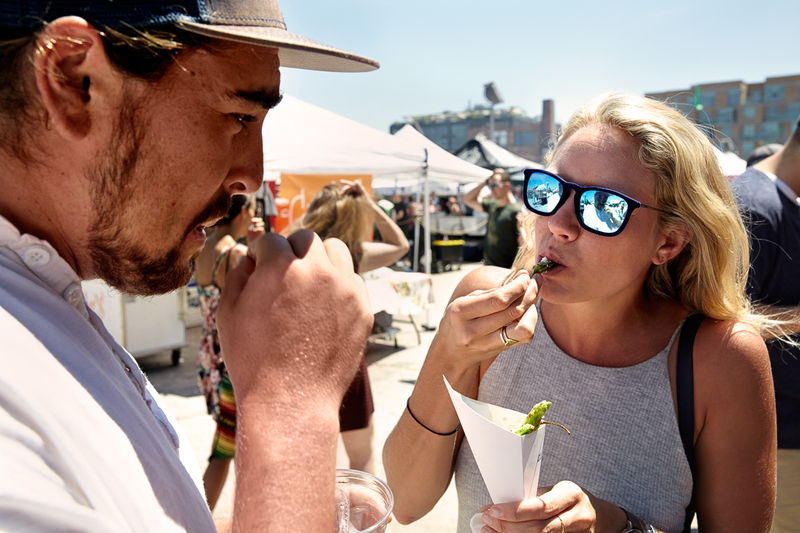 Samsung turned to Smorgasburg for a creative way to add a cafe with lunch and snack options to its flagship experience in Manhattan’s Meatpacking District. Smorgasburg curates a cool, unique menu based in the markets to 837 daily. Seeking a way to feed thousands of attendees in town for Airbnb's annual global host gathering, Smorgasburg was chosen to manage 30 food trucks and a free fruit stand over three days at the Downtown Los Angeles event in November 2016. Smorgasburg curated trucks, managed permitting, and helped promote. 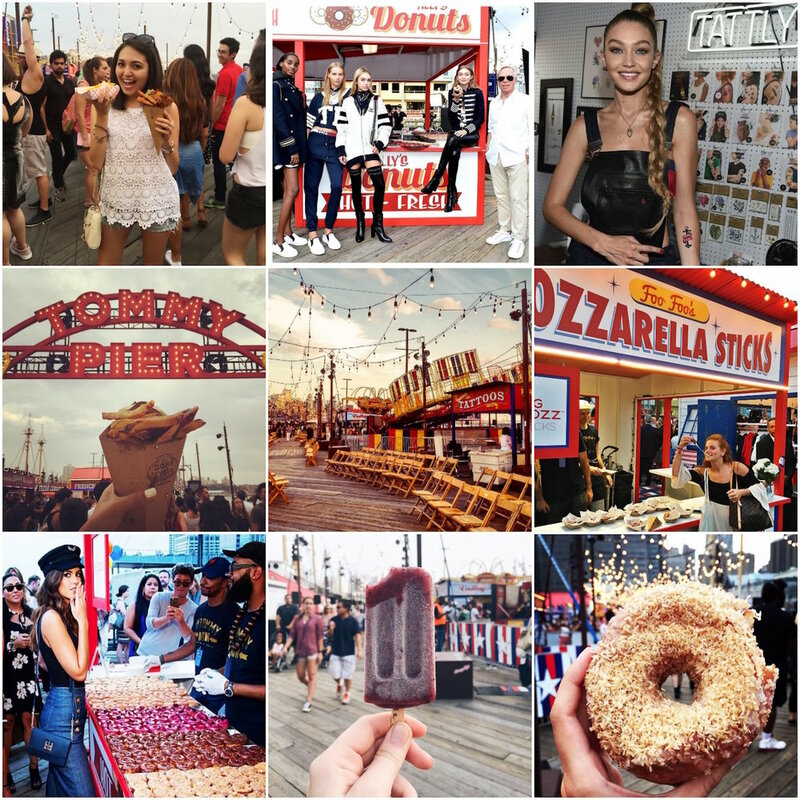 To recreate the vibe of Venice Beach, Smorgasburg curated a selection of food trucks and carts to pop-up for the Tommy Higfiger x Gigi Hadid spring 2017 runway show and launch. Ahead of the Grand Opening of their new co-working and community space for women in Dumbo, The Wing reached out to Smorgasburg to to create a food truck to give away coffee and cookies to promote their arrival in the neighborhood. Go Small, Live Big was the theme of Ford's biggest car launch at the November 2016 LA Auto Show. Smorgasburg selected six food vendors to match the theme at the three-day event on Hollywood Boulevard, where vendors cooked onsite in custom-built booths for more than 1000 attendees each day. Squarespace designed and created special seating and custom trays to enhance the experience at Smorgasburg Los Angeles. Copyright © 2019 Smorgasburg. All rights reserved.